Nikon AF-S Nikkor 58mm f1.4 G lens review: Premium performer? Nikon’s original manual focus Noct-Nikkor 58mm f/1.2 model was designed for photography at night and in poor light using film cameras. Technology has moved on since then and this recently announced model is not intended as a direct replacement for the Noct-Nikkor but as an ultra-high grade option to the AF-S 50mm f/1.4, and as a short-telephoto on DX bodies, where it becomes the equivalent to a 90mm. It features a complex optical construction with 9 elements in 6 groups with, unusually, two aspherical elements and nano-crystal coating. As with the upgrade to the AF-S Nikkor 50mm f1.4, it has an ultrasonic type AF motor for near silent focusing and a minimum focus distance of 0.58m. It’s unusually light in weight at 365g (13.6 oz) but it’s a large lens, measuring 70mm in length with a 72mm filter thread and a maximum diameter of 85mm. 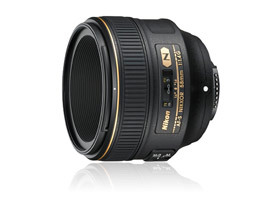 The AF-S Nikkor 58mm f1.4 G is available now at $1,700. For Nikon users the choice is quite wide, especially when you factor-in some of the older AF-D type lenses to mix. While we’ve yet to analyze and add the new Zeiss Otus 1,4/55 to our database, we have tested eight models on the D800, including the highly regarded Sigma 50mm f1.4 and Zeiss 50mm f2.0 MP. 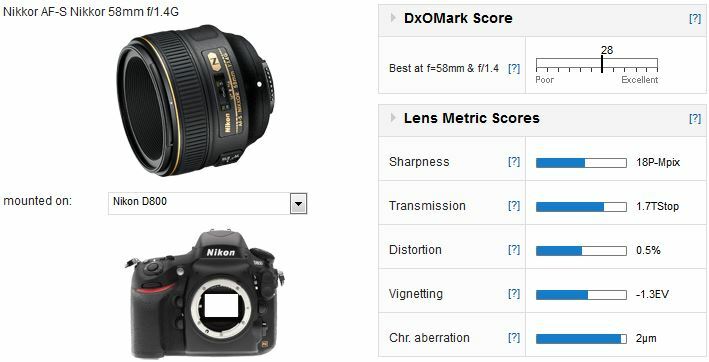 Note that Nikon Nikkor 60mm f2.8 included is the older, discontinued AF-D model and not the newer AF-S model. 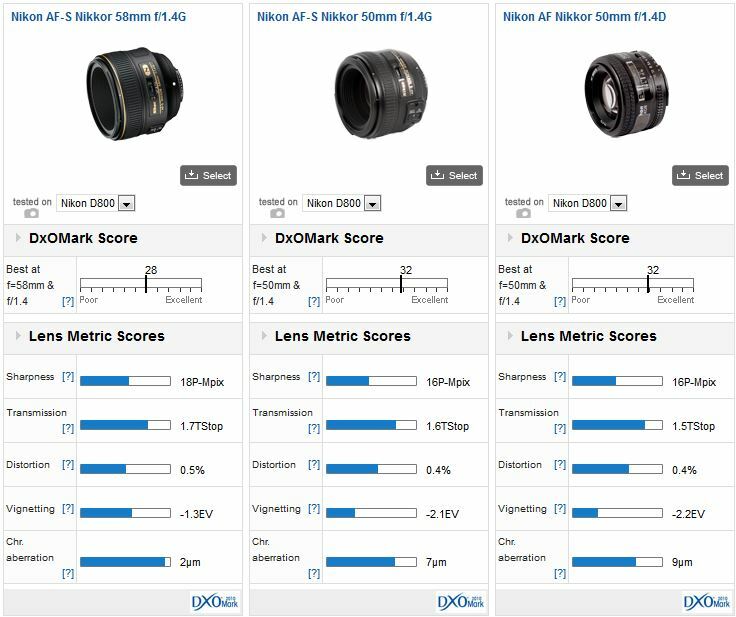 While the ranking for the new Nikkor lens is a little surprising, on the plus side it is one of the sharpest ‘normal’ lenses that we’ve tested on the D800 to date. 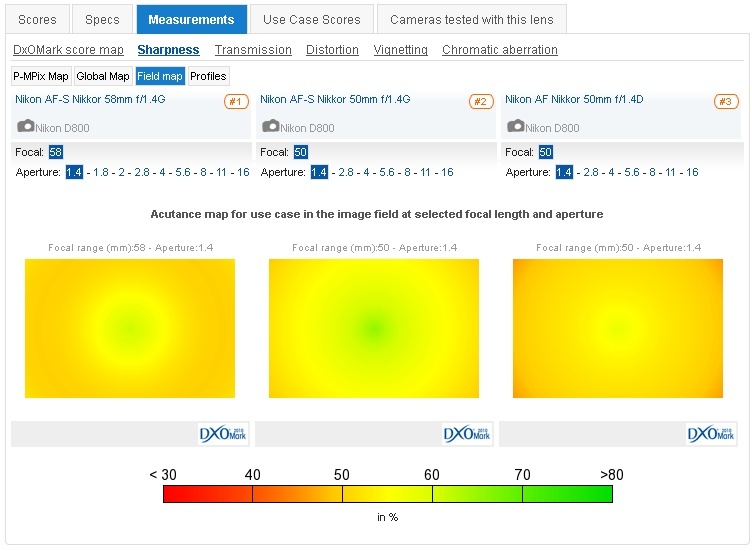 We’ll go into more detail but it’s worth bearing in mind the overall DxOMark score takes uniformity across the field into account, whereas our Sharpness Score is weighted towards the image center. While the new 58mm f1.4 achieves a middling DxOMark lens score of 28 points on the D800, it has high sharpness (in the centers), low levels of vignetting and exceptionally low chromatic aberration. On the downside, sharpness is low at full-aperture and isn’t uniform across the frame until its stopped to f11. 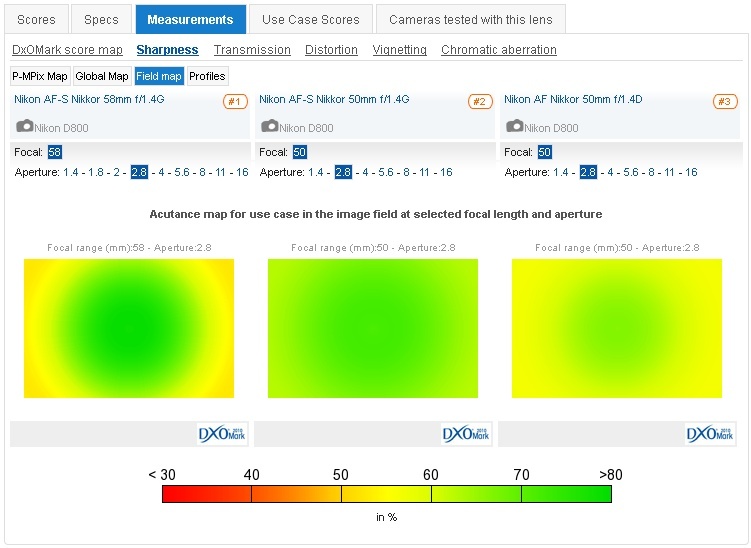 At larger apertures there’s as much as 30% deviation in sharpness from the center to corners. Compared to the current AF-S Nikkor 50mm f1.4G (which remains in the range) and the now discontinued film-era AF-D iteration, the new 58mm model is some four points behind both in overall IQ. Individually the new Nikkor has the higher sharpness overall but the current 50mm is sharper at full aperture, while both are sharper than the AF-D model. Stopped down to f2.8 and the new Nikkor is sharper in the centers than either but the outer field, edges and corners are similar to the old AF-D model and someway behind the current 50mm model until f11, where the new 58mm has high sharpness from corner-to-corner. The original Noct-Nikkor was designed for a different era, and while this new lens shares the same focal length as that model that is the only real similarity. Nikon must be applauded for producing a high-speed standard lens with such low levels of chromatic aberration and vignetting at full aperture. Sharpness is a little low wide open but it is a desirable trait for certain genres, particularly portraiture, where this lens will serve double duty as a short tele on a DX (APS-C) body. Stopped down this lens is very sharp centrally, but at $1,700, it’s a huge premium to pay over the firm’s existing AF-S Nikkor 50mm f1.4 G.